The Temple Mount Institute managed to obtain several editions of the Official Supreme Moslem Council (Wakf) Guide Book to the Temple Mount (1925, 1950, 1954, 1965) and has made free, downloadable facsimiles of these booklets available at its website. 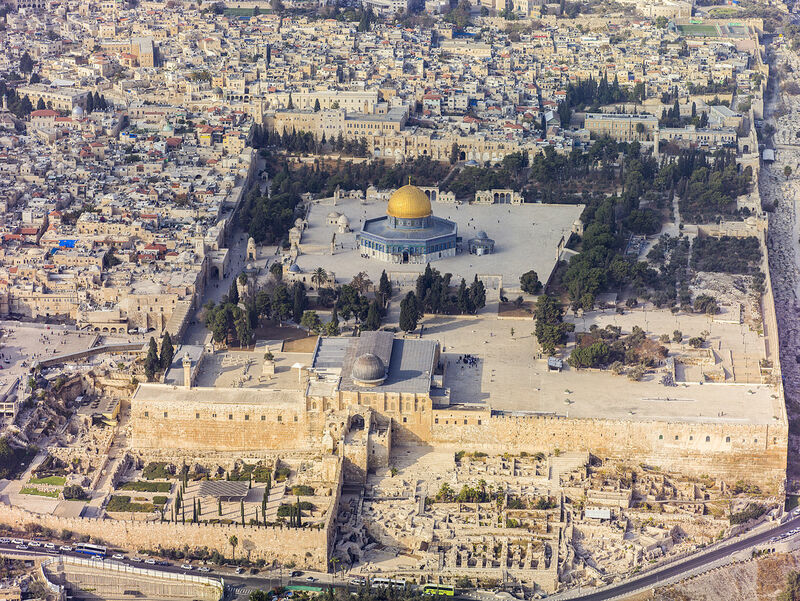 The 1925 and 1950 editions proudly refer to the Haram al-Sharif as having been built on the site of Solomon’s Temple which in turn was built on land bought by King David. The booklets make reference to Samuel II 24:25. By 1954, however, all references to the Mount’s Jewish origins have been expunged from these booklets. See for yourself and make of these interesting historical documents what you will, HERE. Next Does Peace Have A Chance?